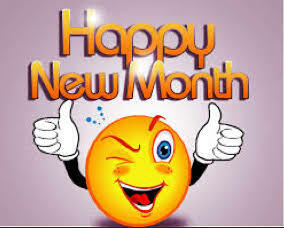 Happy New Month to Everyone - BlogIT with OLIVIA!!! Though all are still ghost readers, am still gonna take out my time and sincerely wish everyone that will visit the blog today a wonderful new month. May this new month usher in blessings in our lives, may all our heart desires be granted. Amen . There's a better way to go about this month, surround yourself with positive vibes, choose to be happy and always spread such positivity. Do not create room for negative thoughts. Have a blessed month everyone.